As time continues to get closer, I’m finding myself rushing to get the final preparations finished for the upcoming trip. 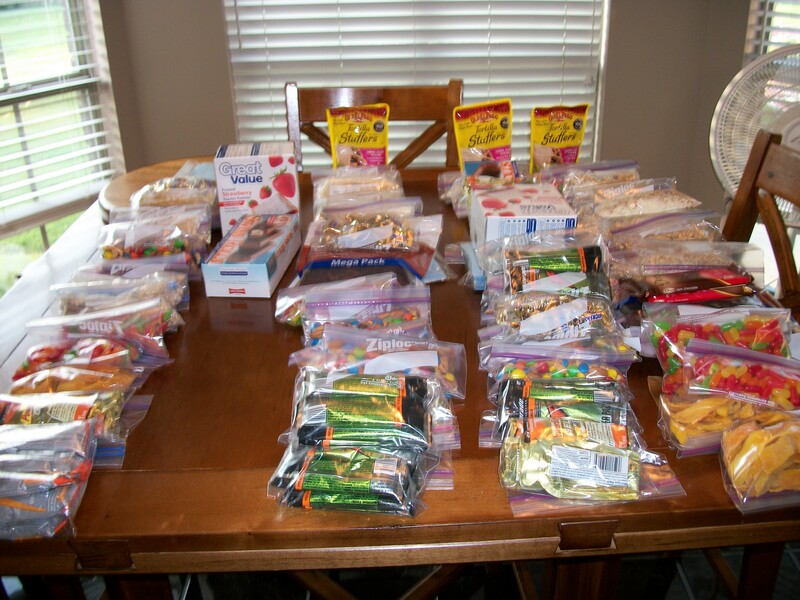 Yesterday was spent getting all my food together so that I could start mailing the resupplies out. I plan to mail my resupply bucket to Muir Trail Ranch on Tuesday, 8/2. This will be 3 weeks before I plan to be at the Ranch on 8/22 to pick it up. I will mail my resupply box to Red’s Meadow on Thursday, 8/4. I should arrive at Red’s on 8/18. I found that not only is it a chore to plan on what you are going to eat for 18 days, but getting the last 9 days of food to fit not only in the resupply bucket, but in the bear canister, can definitely be a challenge. My food went from this…….. In the bottom picture, the left row of food will be what I carry for the first 4 days of my trip. The middle long row will be what is sent to Red’s Meadow for my second 4 days. The last two rows is the food that will be sent in the bucket to Muir Trail Ranch for the last 9 days of my trip. 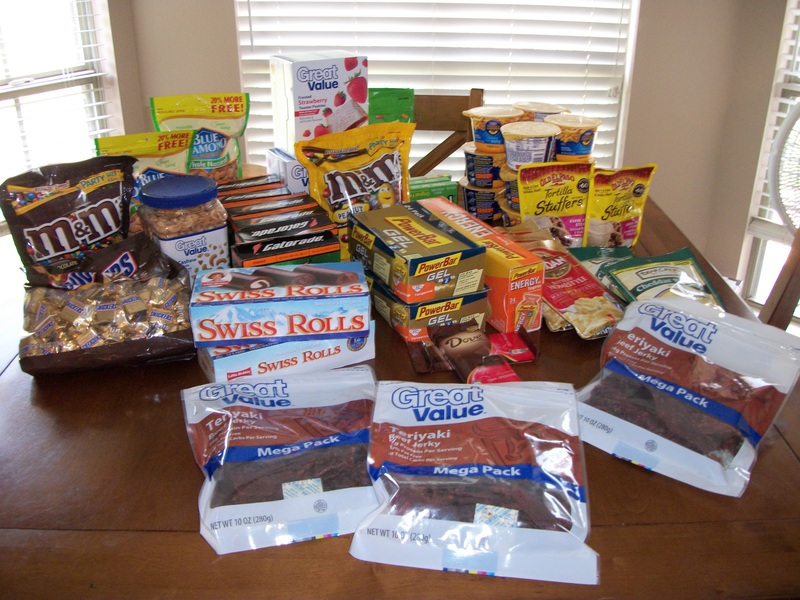 Some of what I’ve included for my food is: Dried Mangos, Cheddar Broccoli Soup, Idahoan Mashed Potatoes, Easy Mac & Cheese, Chicken and Beef Ramen, Mike & Ike’s, Little Debbie’s Swiss Rolls, Pop Tarts, Granola Cereal with Nido Milk and Dried Blueberries, Tortilla Stuffers, Gatorade Packets, and PowerGel packs. I’ve also included 24 of the Secret to Success bars from the recipe that I shared a few days ago. I feel that, between all this and the two meals that I plan to have while at Red’s, it should get me to the end of the trip in pretty good shape. I will begin my trip on Monday, August 15. My hike will consist of 18 days on the trail, including an optional rest day at Muir Trail Ranch, should I need one. My starting point will be in Dana Meadows, at the Mono/Parker Pass trailhead. This trailhead is approximately 4 miles east of Tuolumne Meadows and offers a great start for those who have already done the beginning of the JMT from Happy Isles. It is also one of the easiest starting points to obtain a reservable permit. Simply pick your date and call. Its that easy! I will join the JMT at the end of the second day at Rush Creek. After a brief distance on the JMT, I will leave the trail on the top of Island Pass and head southwest to the west side of Thousand Island Lake, where I will connect with the Sierra High Route. I will stay on the SHR until I pick up the Minaret Lakes Trail at Minaret Lakes, which will take me back to the JMT, just north of Devil’s Postpile. After picking up my first re-supply at Red’s Meadow, I will head south along Crater Creek, then east along Fish Valley, past Iva Bell Hot Springs, until I once again join up with the JMT for the last time at the Goodale Pass trailhead, just north of Silver Pass. Two days and 26.8 miles later will find me at Muir Trail Ranch, where I will pick up my final re-supply (9 days of food and provisions) and take an optional rest day, if I feel I need one. From Muir Trail Ranch, I should arrive at the top of Mt. Whitney on or about Thursday, September 1 and complete my hike at Whitney Portal later that day. Well, I start my hike exactly 4 weeks from tomorrow. As that time rapidly approaches, I’ve started working on my menu for the 19 days that I intend to spend on this trip. I’m not a huge fan of the pre-packaged, freeze-dried meals, but I will probably include a few to give me some variety. My overall goal is to try to stay as close to the 100 calories per ounce parameter as possible. This works out to be about 2400 calories per day. I don’t like to eat breakfast before I start my hike each morning. I eat an energy or breakfast bar while breaking camp, then eat my breakfast an hour or two later, during one of my first breaks. Breakfast consists of 1 cup Sunbelt Fruit and Nuts Granola, 1 Tbsp Nido powdered milk, and 1/4 cup dried Blueberries. This gives me a great 500 calorie breakfast that all I have to do is add water. Lunch is usually an all-day affair. I try to eat some snacks at each break. Snacks usually include Dried Mangos, Jerky, and Mike & Ike’s. I plan to add some pouches of Tuna to the list, so that I keep my protein levels up. I will also take some “Secret to Success” cookie bars for an added caloric boost. Here’s the recipe for this great bar: This recipe is from “Lip Smackin’ Backpacking” by Tom and Christine Conners. Cream butter and sugar, add eggs and vanilla. Mix dry ingredients together, then blend with butter/sugar mixture. If dough is too runny, add more oats. 10-12 minutes in 350 degree pre-heated oven. I take single-serve Gatorade packets with me to add electrolytes. I will also bring PowerGel (Tangerine) gel packs for that added caffeine/electrolyte kick. Dinner is always some form of freezer bag meal. It is usually a ramen or Idahoan Potatoes. I plan to dehydrate some spaghetti sauce and add this to some ramen noodles for a quick spaghetti dinner. As far as the pre-packaged stuff, Mountain House Lasagna and Beef Stroganoff will probably find their way onto the menu. Its always the little things that can be so important when needed, but often forgotten at home. These items can vary from trip to trip, but some items travel with me on every trip. For this trip, I will take along the usual band-aids, antibiotic ointments, and pain relievers. I will also carry a few extra items in this kit for this trip. 1. Flagyl (Metronidazole Oral) – this antibiotic is specific for the treatment of Giardia. I don’t expect to get this bug, but Flagyl will be nice to have, just in case. 2. Dexamethasone – Dexamethasone is used in the treatment of high altitude cerebral edema as well as pulmonary edema. 3. Cipro (Ciprofloxacin) – A very good, broad-spectrum antibiotic for bacterial infections. Hopefully, I won’t have to use any of these medications, but it will be reassuring to know that I have them, just in case. This kit tends to get a lot of use during my hikes, more so as a preventative, but sometimes for the treatment of an occasional blister or hot spot. 1. One of the most recent additions to my kit has been the Engo Blister Prevention Patches. If you know where your hotspots are, then apply one of these to each of those areas in your shoes and they will eliminate any friction or rubbing. These are simply amazing!! 2. I always carry a couple of small sheets of Moleskin. Its hard to beat this for taking care of those areas of your feet that need a little extra cushion. 3. Folding Scissors – I use these a lot. They are great for cutting Moleskin and bandages. 4. Leukotape – This is a very adhesive high strength sports tape that is 1 1/2″ x 15 yds. The adhesive is so strong due to the zinc oxide adhesive. It is very strong but yet still very easy to tear. 5. Tincture of Benzoin – This helps tape or bandages adhere to the skin longer, while providing some protection to the skin. 6. Sewing Needle – Good to have to drain blisters or make repairs to gear. I thread mine at home before I leave on a trip, so that I don’t have to mess with that part on the trail. 7. Alcohol Wipes – For its more common uses, but also as an emergency firestarter, should I really need to start a fire. Petzl eLite – This is a great little headlight that I’ve used for several years. It puts out a great deal of light for its size. I’m not planning on doing much night hiking this trip, so this should work out great for general use. Garmin GPSCSx – I don’t use a gps much for navigation, but I take this to track my trips so that I can download them when I get home and keep them on topo maps. I can also upload the track file to Google Earth and view my trip that way too. SPOT 2 Personal Tracker Satellite GPS Messenger – Since some of my planned trip will take me away from the official JMT, I want to take this along just in case. It will also allow me to let my family and friends know that I’m safe and sound. Water Treatment – For the Sierra and most of my other trips, I carry a one-ounce bottle of chlorine bleach. Two drops in a liter of water and a short waiting period is usually all that is needed to successfully treat my drinking water. DEET – I will definitely carry a small bottle of 100% DEET. With the near-record snow levels and subsequent melt-off, mosquitos will be a huge problem much later into the summer than usual. Sunscreen – Definitely needed in the Sierra. I’m sure there are more small items that I will be taking with me. If so, I will post them before I leave. When selecting clothing items, it really comes down to personal taste and past experience with certain items. The Sierra’s weather can be finicky any time of the year, so you need to bring some layers of insulation, along with at least a minimum amount of rain protection. With the exception of the DryDucks, which I purchased primarily for this trip, I have used all of these items before on multiple backpacking trips and have not experienced any failures with any of these. Here are some of the items that I’m bringing on this trip. 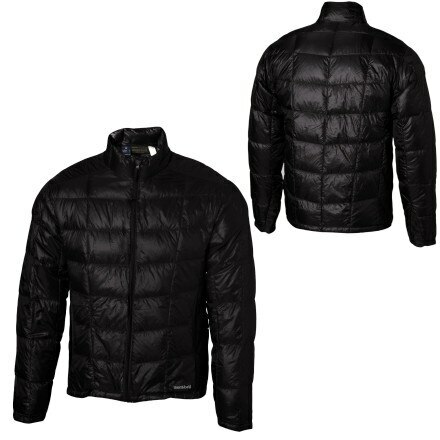 Montbell UL Inner Down Jacket. At 9.6 oz., this is a great lightweight down jacket that has kept me warm down into the upper 20s. DryDucks UL Rain Jacket and Pants This set weighs less than 12 oz total and provides great protection from the occasional rain experienced in the Sierra. I would not use these if I were doing any bushwhacking or on trails where I would be in heavy brush, as these are pretty fragile. But for the JMT, they should work great. 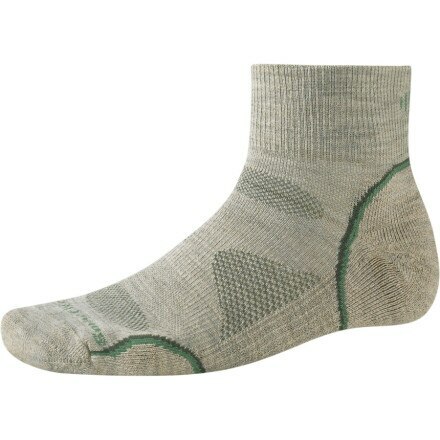 Socks I wear two layers of lightweight socks and found the SmartWool PhD crew socks and the Injinji Midweight Performance Socks make a great combination in reducing the possibility of blisters. 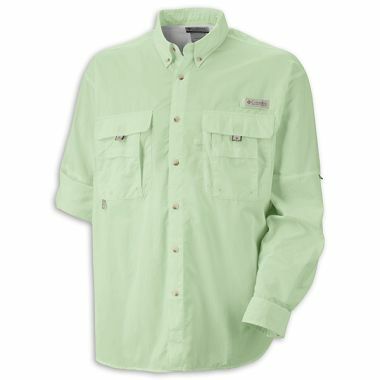 Shirt The Columbia Bahama Long Sleeve Shirt provides both protection from mosquitoes and the sun, with a UPF 30+ sun protection. Shorts I’ve picked the Magellan Nylon Cargo Shorts to wear. These are lightweight and quick drying. They provide a lot of extra storage space in the cargo pockets, should I need to carry things that need to be close at hand. Gloves I’m taking both an insulated pair and a sunscreen pair. The sunscreen gloves are very popular on the JMT, and rightly so. The sun can really beat down on unprotected hands. As a lightweight, insulating pair of gloves, I picked the REI Performance Liner gloves. These are very warm, yet extremely lightweight. 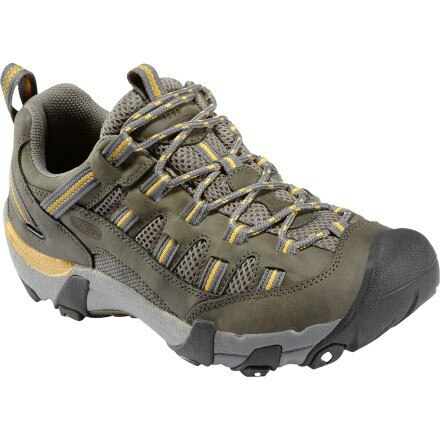 Shoes I started hiking in the Keen Alamosa hiking shoes this year and have absolutely loved them. They have a large toe box, which allows extra space for my toes to move around. When combined with the Superfeet Orange Insoles, they provide great cushioning for my feet, as well. To round out the list, I use a pair of Dirty Girl Gaiters. These keep the dust and dirt from entering my shoes and socks. They are extremely lightweight, but work great. Mine are solid gray in color. The miscellaneous items will be listed next in a few days. The backpack that I’m taking on the JMT is a ULA Catalyst. Mine is a 2009 model. The primary reason I selected this pack is because of the NPS regulation requiring the use of a bear canister. 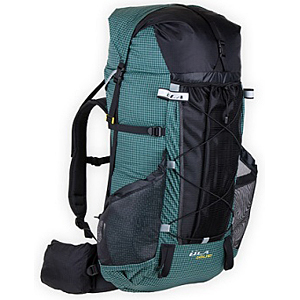 I’ve used ULA packs for several years and really like the quality of workmanship that goes into each pack. My Catalyst is an XL and weighs 51 oz. I’m using the BearVault BV500 canister for this trip. It will hold the 9 days of food that I’ll be carrying out of Muir Trail Ranch. It’s not the lightest on the market, but for the money, it will do nicely. It weighs 41 oz. My cooking consists of boiling water, adding it to either dehydrated or freeze-dried food in a quart ziplock bag, and let it sit in an insulated bag for about 15 minutes. For this method of preparing my meals, I use the following kit. For the pot to boil water, I’m using the Evernew Titanium Solo Cook Set. 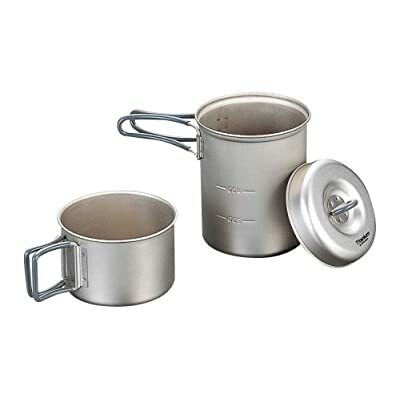 This set consists of a 750 ml pot with lid and a 400 ml cup. I am only taking the 750 ml pot with the lid and leaving the 400 ml cup at home. The weight of the 750 ml pot and lid is 4 oz. My stove is an Evernew Ultralight Titanium Alcohol stove. I use this in conjunction with the Titanium Cross Stand to support the pot. The stove will easily boil 2 cups of water within 6 minutes on 1 oz of alcohol. This stove/stand combination weighs 1.76 oz. I use an old MSR windshield that I’ve modified to fit around the pot. My spork is an MSR folding spork and weighs 0.4 oz. To round out my cooking kit, I use a Light My Fire Mini Firesteel for lighting the stove. It weighs .5 oz. Clothing and miscellaneous items will make up the last of the list. These items will be posted soon. Anytime you get two or more backpackers together, you can bet that the topic of conversation will, at some point, turn to gear. Some people are rather passionate regarding their gear, defending their choices with a fervor, while others view their gear choices as just a means of getting them to the end of their journey. In recent years, the introduction of more lightweight gear has only added to the debate. When I choose a piece of gear, I look for the item which will perform the task required of it and, at the same time, be as light as possible. This will usually put me in the ultralight category. For this upcoming JMT hike, I have tried to select those items that will perform reliably and are lightweight. I will go through my gear selections and try to explain my reasoning behind some of the selections that I have made. Let’s begin with my shelter. First, I love using a tarp. 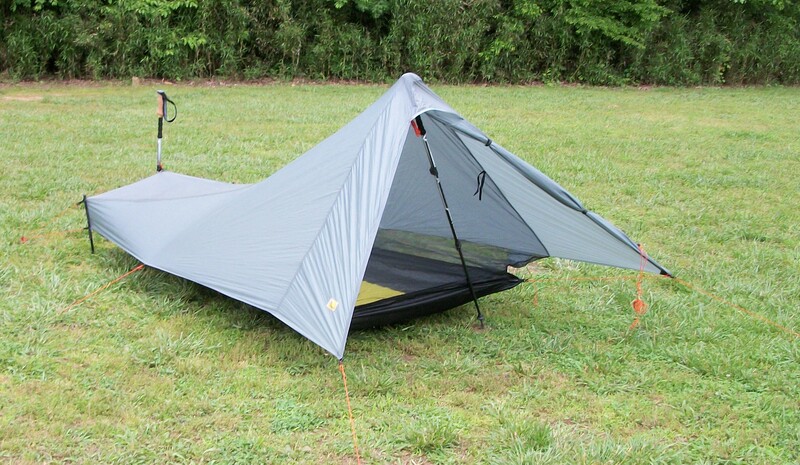 I like the versatility that a tarp provides and it is my primary go-to shelter of choice. Having said that, I have chosen to take a Henry Shire’s Tarptent Contrail for this trek. The winter of 2010-2011 has dumped near-record amounts of snow in the Sierra, with Mammoth Crest seeing well over 600 inches of snowfall during the snow season. Tioga Pass road was just opened to vehicle traffic yesterday, June 18th! With this amount of snowfall and the cooler-than-average spring temperatures, I really think that the mosquitoes are going to be an extreme problem this year and will be a problem much later into the summer than normal. Because of this, I chose the Contrail. The Contrail provides very good bug protection and shelter from the elements, while weighing only 26 oz. My sleep system begins with a ThermaRest NeoAir. I chose the large size as I’m 6 ft and a side sleeper. I tend to toss and turn throughout the night, so the extra width is a bonus that the additional weight more than justifies. The large version weighs 18.13 oz. Next, I chose the Jacks R Better Hudson River quilt as my sleeping bag. It is rated at 25-30 degrees, yet weighs only 22.4 ounces in the long version. This trip will be the first time I have used this quilt, so I’m looking forward to using it. If it works as well as I think it will, I may be changing over to quilts for all my hikes. One option that I did select when I ordered the quilt is the sewn-in foot box. I really don’t see using a hammock in cool/cold weather, so I can’t see using this as an underquilt. My last part of my sleep system is an Exped Air Pillow. It weighs only 3 oz and is probably my one luxury item that I carry. Next to follow, I will discuss my selection of packs, cooking gear, and clothing.